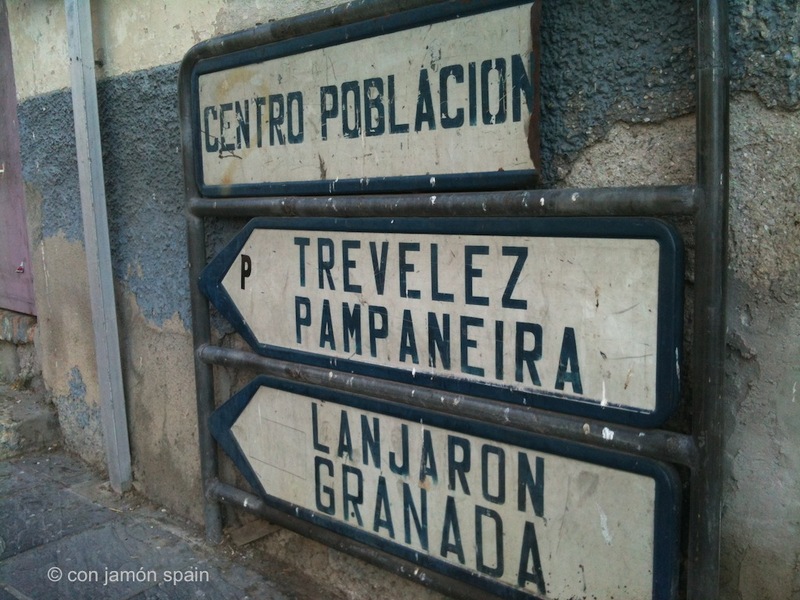 If you’ve ever driven through Órgiva from south to north – that is, on the way to places like Lanjarón, Granada and Bubión – you’ll recognise this road sign. It’s in the centre of town at the junction where, every day, we wonder how people don’t get clobbered by traffic (you often see dogs hobbling around – some with a front paw permanently raised as if to shake hands…or paws). If you want to know the way to Centro Población you’re clearly stuffed. Perhaps the locals trashed the sign to make sure no one ever stops here. A local town for local people. Or maybe a driver collided with the sign, trying to avoid a pedestrian.